Specializing in retail net lease and build-to-suit properties, ARCTRUST Properties, Inc., meets the needs of national tenants. Established in 1985, the company has facilitated more than 300 developments totaling over $3 billion in aggregate value. ARCTRUST Properties has extensive experience in all phases of the retail development process including municipal entitlements, leasing, environmental expertise, land closing, and construction. The firm is most active in the metropolitan areas of New York, Philadelphia and Washington, DC. and Florida. 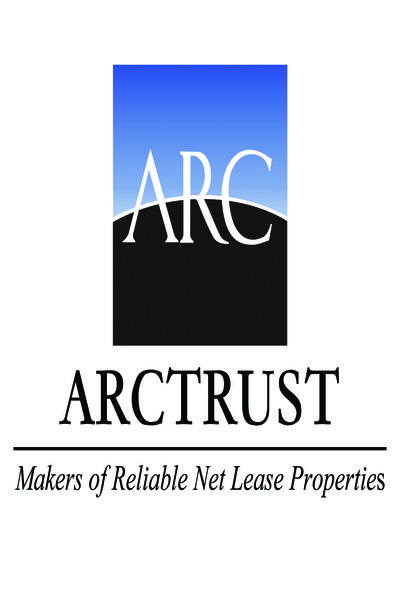 ARCTRUST Properties’ sponsored ARCTRUST, is guided by Chariman and Founder, Robert J. Ambrosi and President and Chief Operating Officer, James M. Steuterman. Averaging over 35 years of experience each, they bring their expertise in developing, acquiring and managing single tenant net lease properties leased long-term to nationally and regionally recognized credit tenants.